Millennials get blamed for a lot. We are killing chain restaurants, we are foregoing real estate and diamond purchases for our expensive toast preferences, and there are countless articles discussing the correct way to manage us as though we are some sort of alien species. I first want to start off with an apology for the “clickbait” title of this post, but I wasn’t sure how else to prove that I am indeed a millennial, and might have part of the answer key to the enigma that is my generation. The transition from college to the workforce certainly isn’t an easy one regardless of the era you spring from. 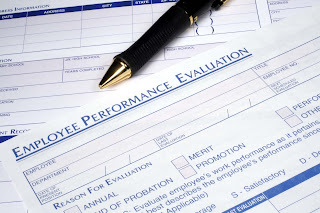 There are adjustments to be made, and responsibility shifts from the threat of a bad grade to the threat of underperforming for your employer. No amount of classroom case studies could prepare you for the first time you are communicating directly with a client, a customer, a partner, or even a senior colleague. What sets apart the millennial generation from those who have come before us is that we are largely setting what is in demand, and corporations are taking notice. Social media has given us the power to come together to form an unimaginable force that decides which technology trends we like, what type of foods and lifestyles we want to be popular, and what media we like to consume. We are also accustomed to extremely steep learning curves. Technology is evolving rapidly, and thus we have learned to adjust rapidly as well. These factors lead to a perfect storm of conditions which can be boiled down to two simple truths, and these truths are not what make us difficult to manage, they are what makes us hesitant to assume authority of our own. 1. Companies care what we have to say because they need our input. 2. We have skillsets that often older colleagues lack. These two simple factors are working against everything we’ve ever been taught as a generation. Trust those more senior than you as they have the answers. Respect those more senior than you as their experience and knowledge is what built the world we live in today. As a result of these teachings, when we are put in a position of authority, it can be uncomfortable, and for some downright scary. Giving us a task as simple as calling a company and asking for information on “x,y,z” may be more intimidating than handing us 10,000 rows of data and telling us to make sense of it. Asking us to teach a more senior colleague a software or a skill is intimidating, and I would bet that during the engagement each time the senior colleague misinterpreted or made an error, the millennial would be found apologizing to them. We are motivated, we are efficient, but we need more than that to become the ideal employees that are going to be leading companies into the future. We need empowerment. We need an air of equality without seeming entitled. We need encouragement without being seen as the participation trophy generation. The best way to manage a millennial is to understand that confidence is a large part of success, and while we are more than qualified to lead and teach, there is intimidation that comes with the part. Our hard skills develop quickly, it is our soft skills that should be the focus of any leader. Teach us to delegate without fearing pushback, especially from those who are older. Teach us to ask for information without the fear of the entitlement label. The more empowered we feel the more motivated we will become, and it is a win for the entire organization.